In any restaurant, a uniform has huge benefits. For one thing, it can help customers differentiate who is a guest and who works there. Uniforms also help the brand of your restaurant stick out in the minds of your customers. Depending on where your employees work, their uniforms help with different duties. One essential job of any restaurant uniform is that increases professionalism. You only get one chance to make a good impression on new customers. If your employees are too dressed too casually for a high-end establishment, then customers might think that what you serve there isn’t worth the price. Think about the aesthetic and vibe that your restaurant is themed after. A good restaurant uniform also increases confidence. 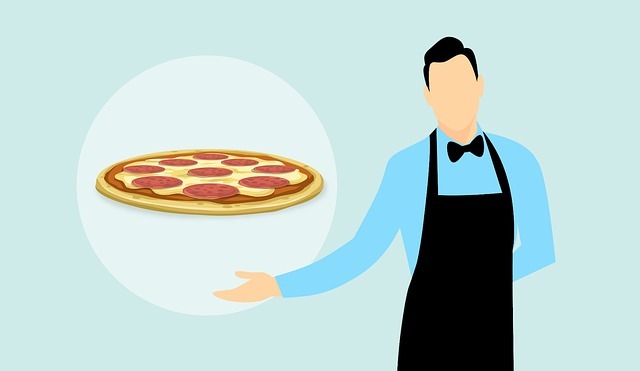 This confidence helps the employees themselves do a better job, but it also tells the customers that hosts, hostesses, and servers can all do their jobs quickly and politely without appearing unhygienic. Uniforms are also a good idea for the kitchen staff. The chef’s hat is iconic, but here’s a fun fact you might not have known: the height of the hat indicates kitchen rank. This means that there is an order to things within the kitchen, reducing confusion. During a busy meal time rush, you don’t want confusion to cause delays, forcing plates to go cold before they can reach the table. That would be a disaster for your establishment and reflect badly on you as well. Avoid that uncomfortable situation by making sure everyone understands how the kitchen is supposed to be run. Lastly, restaurant uniforms help ensure safety. Every aspect of the uniform you set must be chosen carefully. While front of the house employees will need to watch out for spilled food and drink and broken glass and ceramics, the back of the house employees are working with fire, hot cooking oils, food grease, and sharp cooking tools. Sometimes they will also need to carry heavy loads out of the freezer and towards the nearest prep station. All in all, the uniforms for these employees must be designed with those hazards in mind.